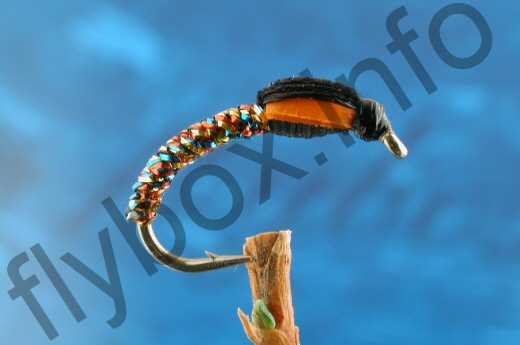 This is a very attractive buzzer pattern which the fish find difficult to resist. Use the longest leader practicable and a very, very slow retrieve. Body : Red Reflections (from Veniard stockists). The trick in tying this pattern, is treating the ‘Reflections’ material like peacock herl in winding a rope-like body. B110. Currently there are no comments about the Reflections Buzzer fly pattern from other fly fishermen yet.